Welcome to Lighthouse Learning Academy! At Lighthouse Learning Academy, we commit ourselves to “strive for excellence”. We believe in providing a secure, comfortable and loving environment which encourages your child to grow socially, emotionally and intellectually. We pride ourselves in promoting an open-door policy where you are welcome to visit us anytime for a tour or to visit your child. 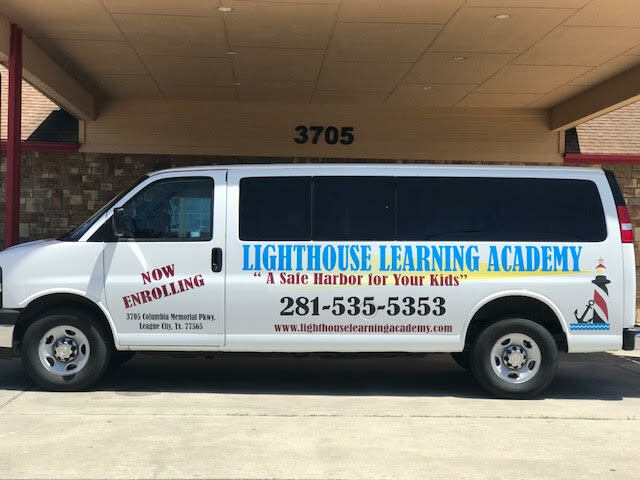 This family-owned school was established in 2005 and has maintained a reputation for putting the parents needs first where each parent and child becomes a member of the Lighthouse family. Consistent with our philosophy of continuous improvement in educational programs, this year we have established an on-site STEAM Learning Lab for children ages preschool to school age. The STEAM Learning Lab offers activities in Science, Technology, Engineering, Art and Math. Our tuition includes nutritious meals consisting of breakfast, morning snack, lunch, afternoon snack and supper. Most appreciated by our parents is the built-in extra-curricular activities and bilingual lessons. We provide this to our families at no additional cost.